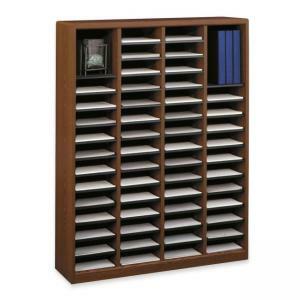 Wood literature organizer provides storage with quick and easy document retrieval. 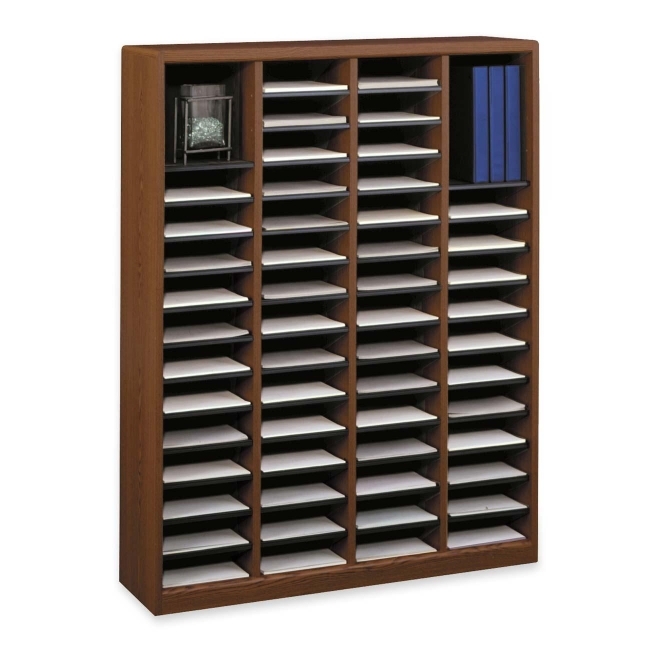 Offers an ideal storage solution for showrooms, public areas and professional offices. Features solid fiberboard back and hardboard shelves that form letter-size, 9" wide x 11" deep x 3" high compartments. Individual letter-size compartment shelves are removable for added versatility. Equipped with black plastic label holders. Assembly is quick and easy with precision-engineered cam lock system. Literature organizer is made from 80 percent recycled content.